Last night you had a little party with your friends and you talked about organizing a trip into the wilderness. That’s a great idea, but it seems you’re very sensitive to mosquitoes and other insects so it would be good to protect yourself with repellents. Mosquitoes, spiders and other insects are natural party breakers and they know how to destroy your summer vacation. Namely, they want dark and strong colors so if you want to keep them away try wearing light clothes colors. They are mostly attracted to people who are playing sports or are releasing greater amounts of sweat because their body is then warmer. All insects are attracted by compounds derived from the sweat. You can look at it this way: protecting from insects is the same as protecting from the sun. Nowadays, when many different viruses are isolated and spread by mosquito bites, we have to take care of our health. We must remember to bring the best insect repellent with us. When it comes to choosing a product, our budget comes first, but when it comes to our health, price is irrelevant. We have to provide ourselves with maximum protection from viruses that can cause injury and even death. The list with insect borne viruses is getting longer every year and we have to choose the most effective repellent. Before providing specific solutions, there are few important things everyone of us should know about when purchasing repellents. Many manufacturers claim that their products are natural. But research has shown that some essential oils aren’t effective when it comes to mosquito bites. The only oil that is tested and proven to work is lemon eucalyptus oil, so repellents that include this essential oil in their ingredients will be good against insects. Most of us don’t read the ingredient list of the product. It’s a huge mistake and we must try to avoid doing it. It is a big advantage for both effectiveness and our safety if we know the concentration of ingredients and active components. Only repellents that contain oil from lemon eucalyptus, DEET and/or picaridin will work well against insects. It doesn’t mean that if one product contains higher concentration that it is more effective. Its effectiveness depends on the other ingredients the product contains. Some of them may be inactive when combined with other ingredients. It is also useful if the product has a declaration about pregnant women and children to let you know if it’s safe. If you decide to buy a bio repellent always remember to take one with many ingredients because for some reason they are more effective than repellents which consist of one or two ingredients. And never forget that some natural factors, like rain, and swimming or bathing activities can minimize the repellent effect, so you should apply it more frequently. Read the instructions and make sure you check if the repellent is waterproof. When considering specific product information, the most important thing to begin with is how long it lasts. If your trip is long and exhausting with short pauses than our suggestion is to choose long lasting protection. You won’t have enough time to apply spray or lotions to your skin. Sometimes if you need sun protection, the products may cause allergic reaction when applying both creams. However, if you have a big agenda planned, we would recommend the premium insect repellent with 20% picaridin from many leading products. It offers you long lasting protection and it protects from most insect varieties. 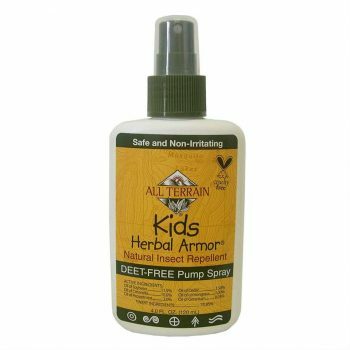 If your children are included in your trip, than all Terrain Kids Herbal Armor DEET Free Natural Insect Repellent is good for you and your wallet too. This brings us to the next question and that is effectiveness of the product. The more ingredients included in the composition, the more effective the product will be. To support this statement we will suggest you the Cutter Backwoods Dry Insect Repellent. Its widespread range of effectiveness makes it the most desirable of all given products. And the time it lasts is a big plus when deciding whether to purchase it. Things are different if you choose to go camping. Take a look at products that protect not only you, but your equipment too. If you are not in the mood for shopping on your own, we are presenting you with some of the best insect repellent products that you can buy. Here you will find their specifications and you can decide for yourself which product is suitable for you. 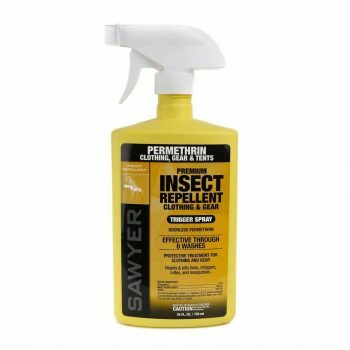 If you decide on some outdoor activities you should certainly take a look at the specifications of Sawyer Products Premium Insect Repellent. It protects your clothing and if you decide to go camping, it protects your tents and other gear too. 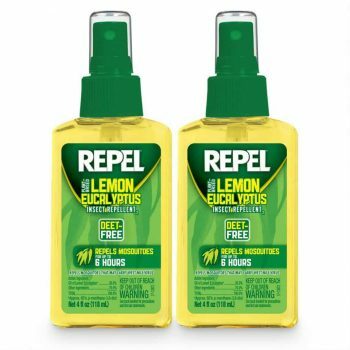 This repellent made our list because it doesn’t only repel insects, but kills ticks, mosquitoes, chiggers and many other insects as well. This product can be found in two spray bottles and is effective in the fight against yellow fever mosquitoes as well as protecting you from all insect bites. You should also keep in mind that it lasts for six weeks. It is good to know that it can’t damage your clothes or your other equipment. This product is in a low price range and offers you complete clothes protection, while also providing you with good quality and effectiveness. Give it a try and see if it matches your tastes. 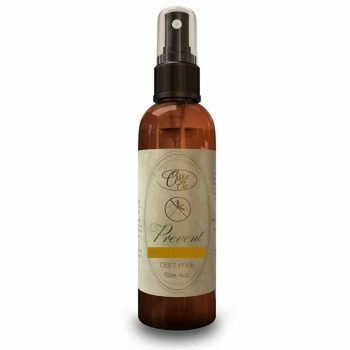 This is a completely different product from the rest of our list of best insect repellents. It is all natural and it can replace chemical based products. It has a pleasant smelling perfume note, more exactly a fresh citrus note. It gives you maximal protection for 4 – 6 hours after only a single spray. It can be used for children and it is safe to apply it on your skin. Don’t worry, it is clinically proven and tested. You should keep in mind that Ovvio Oils Deet Free Insect Repellent is a non toxic product and it can be used on a sensitive skin. The product is water resistant so you could safely enjoy trips to the river or a nearby lake without fear of insects. Related: Ovvio also offers specific essential oils targeted at different things including a Ovvio Oils Slumber Rest and Recovery Blend to use when you return from an outdoor excursion! 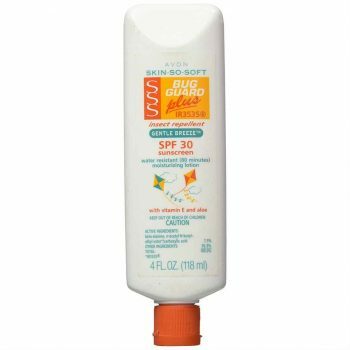 The Avon Skin So Soft Bug Guard is a must have if you are planning to go near the closest lake or a river. It is a waterproof product and it allows you to forget about applying something every other hour. This lotion is effective against mosquitoes, deer ticks, black flies, gnats, and noseeums. There is no need to wash off after use. The lotion offers you double protection as well, helping to protect you from the sun, thanks to the SPF factor protection included, and it repels insects too. It’s a good product to save money and to satisfy double needs. Related: If you don’t like the feeling of lotion or just want to have a quick way to apply more repellent to your skin, Avon also has Avon Bug Guard + Picaridin wipes. The All Terrain Kids Herbal Armor was made for active outdoor enthusiasts. If your kids wish to join you on your summer trip in nature, do not hesitate to take them with you. This insect repellent is an excellent product when it comes to your children’s safety. It is highly effective and because of its natural components it is highly recommended. You can let your kids swim or play water games because this product has a water resistant feature. It ensures two hours protection with a hundred percent effectiveness and over three hours ninety five percent. Looking after your children will be easy and fun because they will simply love this spray. It is non allergenic and hasn’t shown any signs of irritation and it is also recommended for sensitive skin. Protect your kids with this quality and natural spray and they will simply enjoy their games in the sun. Related: The After Bite New & Improved Insect Repellent is a good alternative. It’s simple to apply and contains natural healing ingredients. Repel Natural Insect Repellent is a very good product derived from the leaves of the Eucalyptus citriodora tree. It is a natural and effective product that repels mosquitoes that may transmit the Zika and West Nile viruses. It has about six hours effective protection. It is a favorite product on the market because of its odor. It will attract you with its cool and refreshing notes. It is a DEET free product and it won’t damage your gear. However, it is a highly effective spray to reduce insect bites. You can treat your clothes, tents and shoes when planning an outdoor activity. Related: If you don’t like to apply liquid or lotion to your skin and gear, you can try Laukati’s All Natural Mosquito Repellent Bracelets. 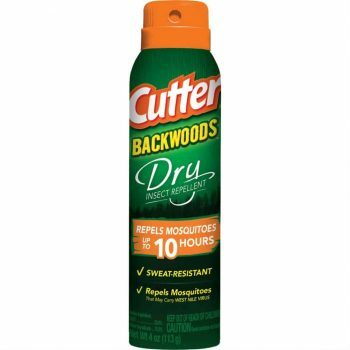 This Cutter Backwoods Insect Repellent helps you repel mosquitoes that can transmit various viruses like Zika, Chikungunya, Dengue and West Nile virus. With its formula, it “fights” mosquitoes, chiggers, ticks, biting flies, no seeums, gnats and fleas. This product is very suitable for you if your trips are long lasting or even a day long, because it gives you full protection for up to ten hours. It doesn’t matter if you are sweaty or wet, it is a water resistant product. It is chemically based and it contains 25% DEET. It has a low price and it is a perfect combination if you have decided to use a small budget for this purpose. Related: While you can use lotions or sprays outdoors, ViiTronics Ultrasonic Pest Repellent works at your home, allowing you to enjoy your time outdoors without becoming bothered by mosquitoes. 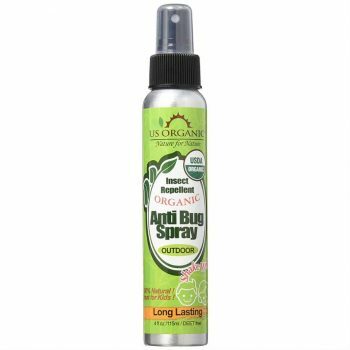 The US Organic Anti Bug Spray is very good especially because it is made from nine premium organic ingredients. The product is also tested and proved the manufacturer’s claims that it has 98 – 100% repellency against yellow fever mosquitoes. It has a four hour effective time and it is good for short term walks. You could use it on your daily trips but you have to apply it every 4 hours for maximum protection. Because of its organic components this product goes into the high range price. Even though it is certified, the price is not too high and this is a must have product in your bags or houses, especially if you are keen on using organic products. An interesting thing to mention is that it is allowed to carry on your plane. Because of its excellent benefit, this product is sold in many countries. Related: Mosquito X’s Organic Insect Repellent is another great choice for consumers who want to stay protected from mosquitos and other pests without utilizing harmful ingredients. 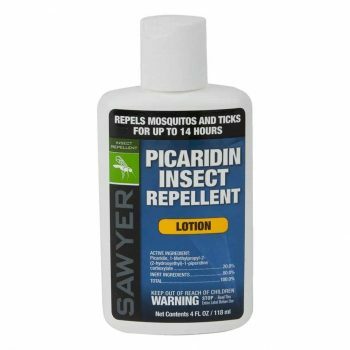 Sawyer Products Premium Insect Repellent with 20 % Picaridin, as all the others mentioned before, has the power to repel mosquitoes that cause Yellow Fever and Zika virus. It is on the list of safe and effective lotions that fight against insects. This product won’t harm your clothes, backpack, fishing equipment, watches or sunglasses and it is available as a spray or a lotion. It could be applied on your skin and it won’t cause any irritation. It is the best repellent with a long time of effectiveness. The topical spray with 20% Picaridin is effective for 12 hours against mosquitoes and ticks, and 14 hours in the lotion form. There are many sizes of this product, so you can choose according to your needs. This is a product made with the best technology and advanced solutions and it is a perfect addition for your next trip. And that concludes our selection of some of the best bug repellent products that your money can buy. Hopefully, we have made it easier for you to shop for a repellant that fits your needs. If you’re frequently going outdoors, it goes without saying that investing in a reliable insect repellant is a must. Have you used a different type of mosquito or insect repellent? What’s your favorite and what do you look for when choosing a new repellent to try? The comment section is down below.